Time to revisit one of my favourite brands, Dermalogica. They’ve got a bunch of cool new skincare products, all with their own specially tailored USP. Dermalogica, if you’ve not had the pleasure before, is a skin health cosmeceutical brand. It’s mainly sold via beauty therapists, though you can get it in some stores including John Lewis and Selfridges. It can err on the pricey side, but in my experience the quality tends to be reliably high. I recently submitted to Face Mapping by Dermalogica – this is a slightly unnerving service where a therapist peers very closely at your skin, asks lots of questions, diagnoses what’s going on there and recommends products that might help. If that sounds like too much human contact, here’s also an online version of Face Mapping available here. Me being me, my major skin concern is – what’s new and how soon can I throw it at my face? So these are some of the latest releases from Dermalogica, which I’ve been trying out for the last few weeks. How I would love to be sound asleep in a cocoon right now. How comforting does that sound? Hats off to the marketing team for a fantastic-sounding product name for starters. But what’s actually in this cocoon? 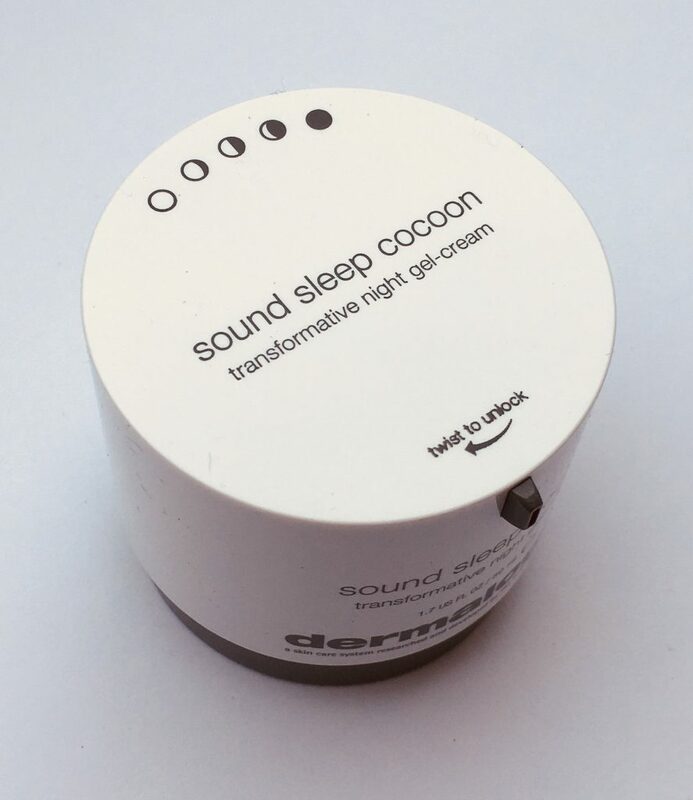 Dermalogica Sound Sleep Cocoon (50ml, RRP £72.50) is a gel-cream which promises to transform your skin overnight. Star ingredients here include Tamarind Seed Extract to hydrate, Persian Silk Tree Extract to reduce signs of skin fatigue and restore vitality and Wu-Zhu-Yu (an ingredient from Chinese herbal medicine) to promote radiance. French Lavender oil, Sandalwood and Patchouli combine to help you get a better night’s sleep. If you don’t like lavender then this isn’t for you, because it’s the most pronounced scent, but most people do find it helps them sleep. I’ve definitely been sleeping better since I’ve been using this, but then I have also given up caffeine so I think that’s helping too. 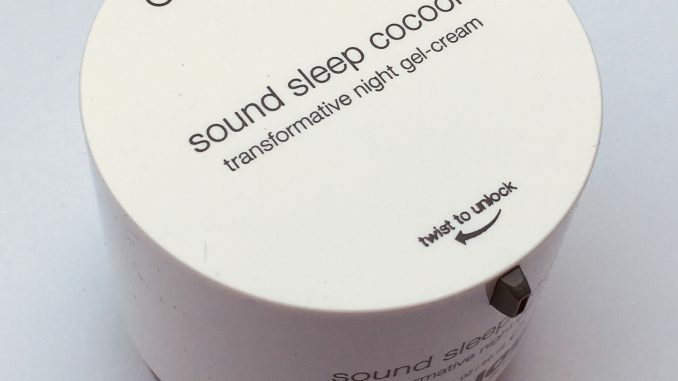 It’s pushing it to say that this cream has transformed my skin overnight, but it’s certainly looking more refreshed and less like Dracula rising from his pit. This featherlight, instantly absorbed cream is a good investment for the summer. As it’s a gel-cream, if you prefer a lighter rather than a heavier night moisturiser, then this is the one for you. Again with the comforting product names. 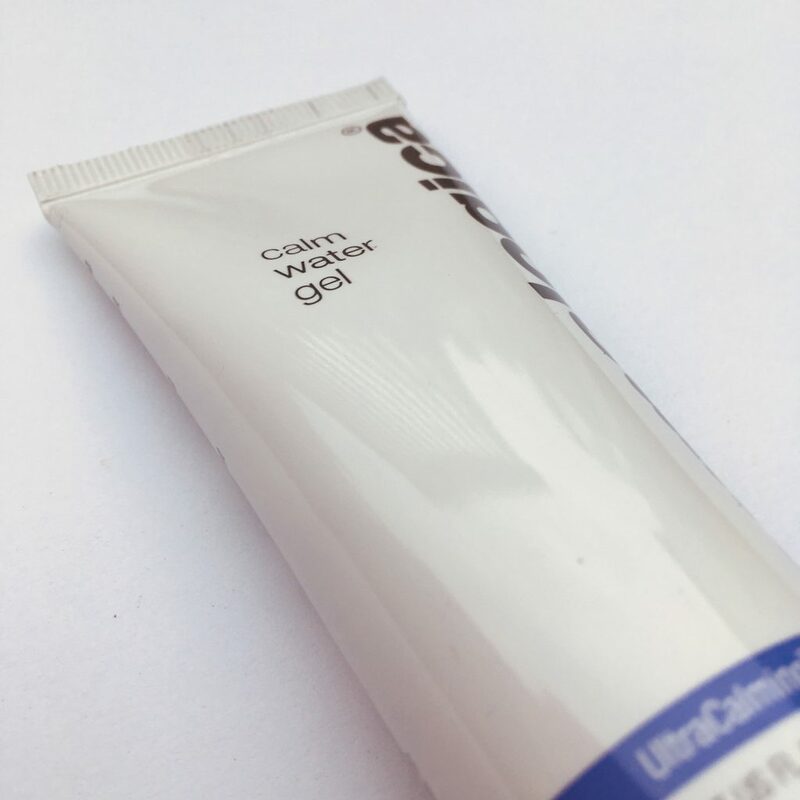 Dermalogica Calm Water Gel (50ml, RRP £44.50) is a light moisturiser, and another good choice for the summer when skin tends to benefit from the lighter touch. It’s pretty magical to see how this gel dissolves into a watery essence as soon it’s rubbed in. It contains lots of hyaluronic acid to help hydration, and both apple fruit and cactus pear extracts to soothe and moisturise. One problem I had with this is that it contains dimethicone (silicone) and it didn’t sit well if I layered it with any other product also containing dimethicone (most primers and some serums and BB creams will have this ingredient, it’s what gives them their slippery feel and helps them smooth out fine lines). So if you have any issues with silicone then it’s not for you, but other than that it’s a great lightweight hydrator. 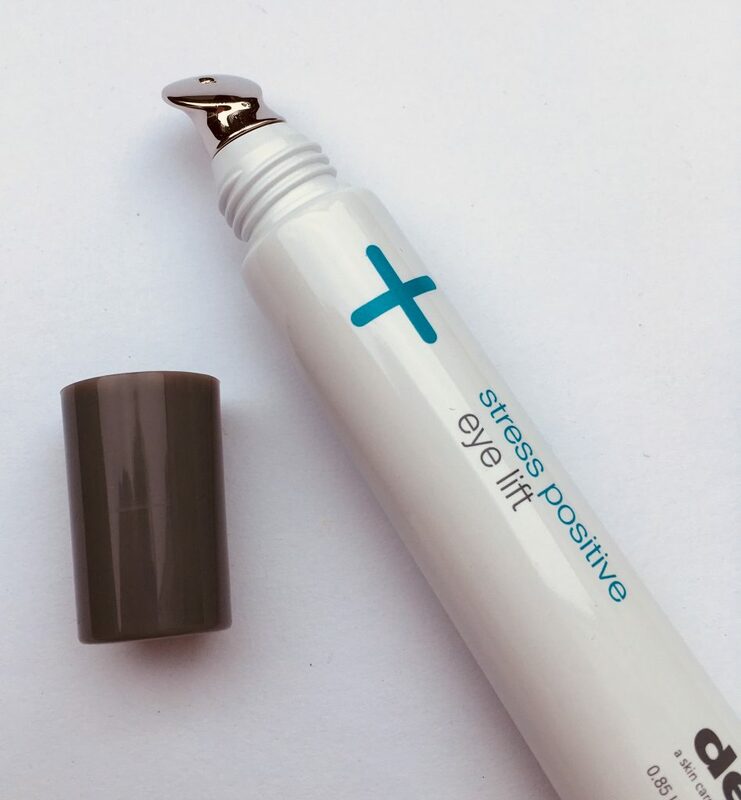 Dermalogica Stress Positive Eye Lift (25ml, RRP £53.50) is the eye cream to go for if you have puffiness under the eyes that needs calming down. As you can see it has a metal applicator, meaning it’s very cooling and soothing to apply. I can’t say that it’s done anything for my dark under-eye circles, I think I’m stuck with those. It’s got some really exciting sounding ingredients including Wild Indigo Seed actives and Bioactive Diglucosyl Gallic Acid to brighten. There’s Sea Water Extract and Arctic Algae which combine to work against puffiness and a blend of Fermented Yeast and Hyaluronic Acid helps to firm skin. I haven’t seen fermented ingredients much outside Korean skincare so this is pretty cutting age. 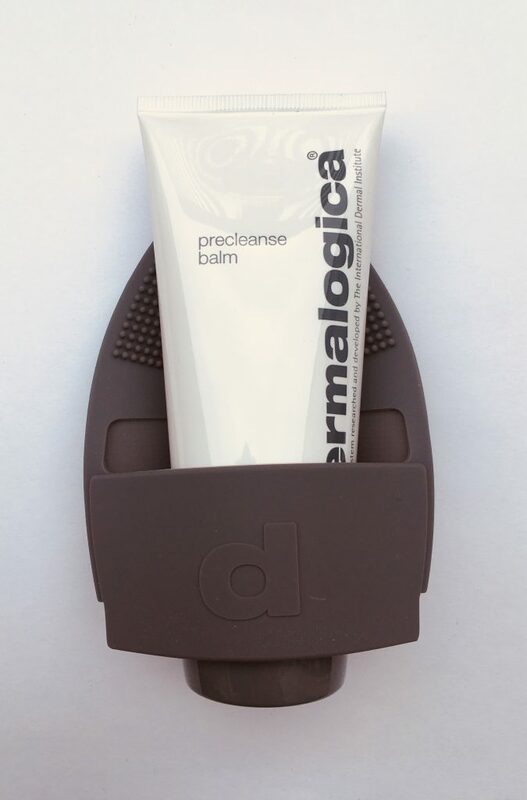 I think this is my favourite out of the four products I tried – Dermalogica PreCleanse Balm (90ml, RRP £44). The texture and scent is just delicious, like citrus icing. The idea here is that it’s step one of a double cleanse, with a balm to oil texture that will take your make up off. As you can see here it comes with a silicone cleansing mitt which thoroughly but gently removes the gubbins of the day from your face. You get a nice bit of mild exfoliation from the little silicone bumps on the mitt too. I have about half a dozen cleansers on the go right now, and yet I keep on reaching for this one. All products shown are vegan, cruelty-free, paraben-free and contain no artificial colours or fragrances. Find out more from the Dermalogica website.